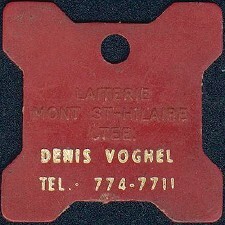 Somewhere around 1930, a place called "Le Déboulis" was very popular. 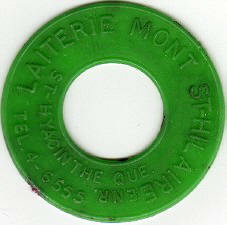 Today this place, situated close to autoroute 20, is occupied by a golf court called "La Seigneurie". 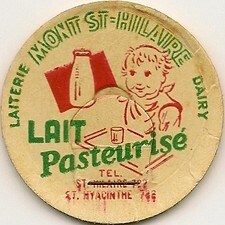 The popularity of this place was that people came there to spend evenings at Mr. Benoît's cheese-dairy. 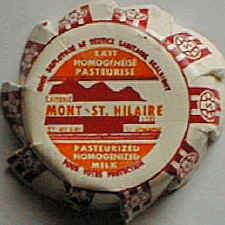 They were looking at Mr. Benoît making his cheese while other guys were telling stories and others were listening for last news. 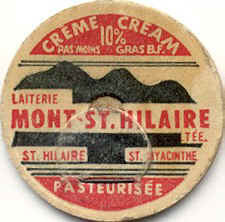 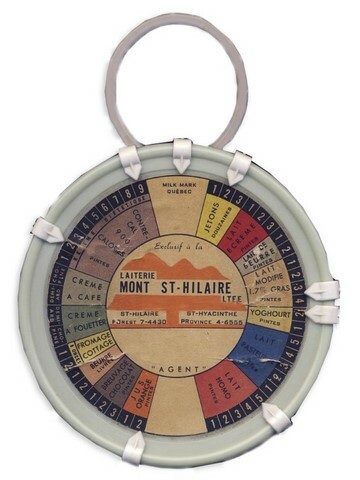 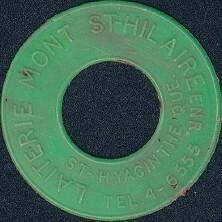 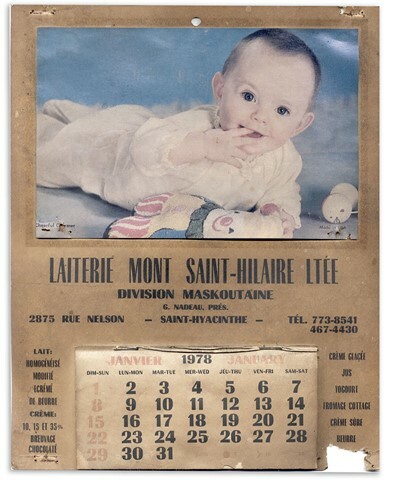 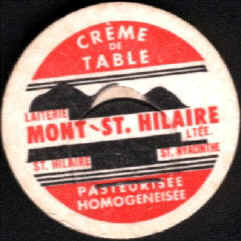 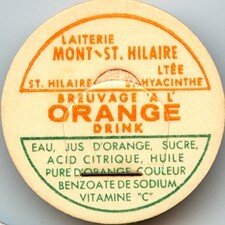 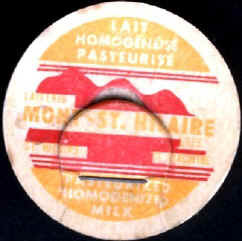 In 1946, Mr. Jean Lehoux and Mr. Tancrède Gaboury founded "Les Produits Mont-Saint-Hilaire" which was first a butter factory. 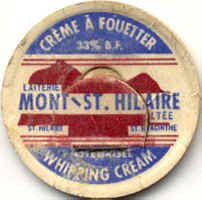 This butter factory was situated on Chemin des Patriotes, close to Mr. Benoit's cheese-dairy. 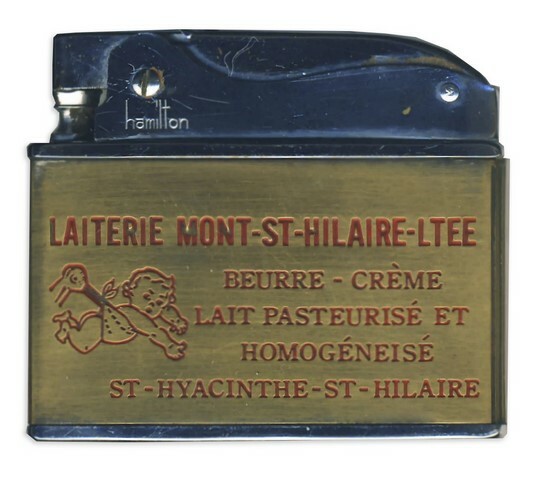 In 1949, Mr. Gonzague Nadeau, who had bought Mr. Benoit's cheese-dairy in mid 40's, decided to buy the butter factory from Mr. Lehoux and Mr. Gaboury. 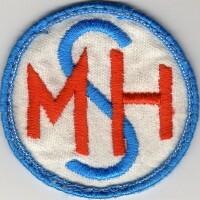 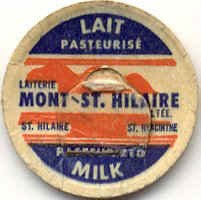 Mr. Nadeau added the milk business to it and that's the way "Mont-Saint-Hilaire Dairy" was founded. 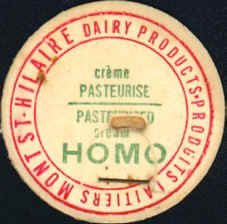 The original dairy was completely destroyed by a fire in 1960. 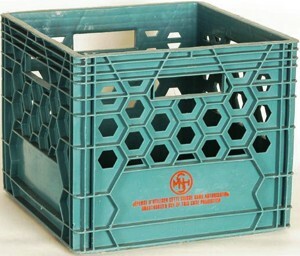 A new plant was built at 595, Boul. 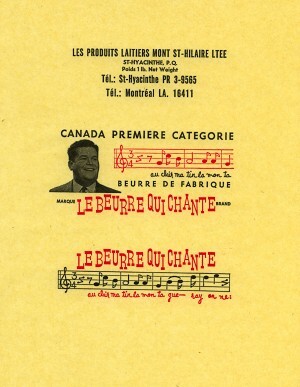 Laurier. 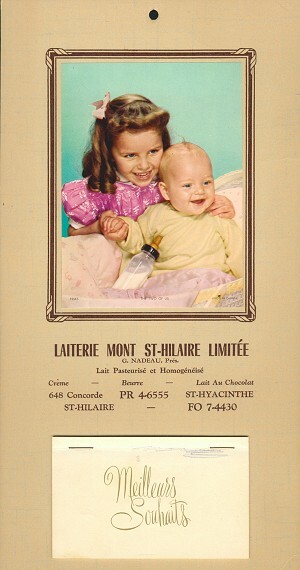 In 1963, the "St-Alexandre Dairy" of Longueuil was acquired, in 1972, the dairy increased again its volume of sale with the acquisition of "R.A. Clément Dairy" in McMasterville, called Beloeil Station at that time. 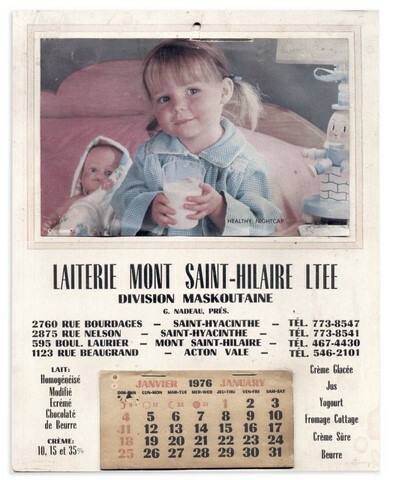 With much effort over the years, the dairy grew up and decided to merge with "Maskoutaine Dairy" of St-Hyacinthe. 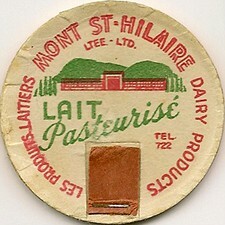 This new location became the dairy Head Office. 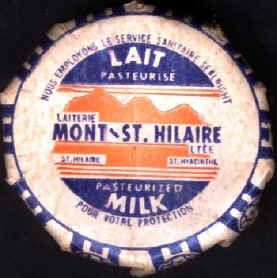 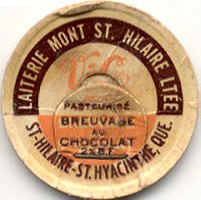 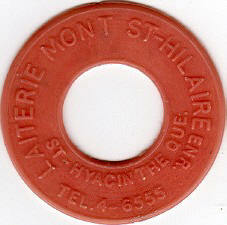 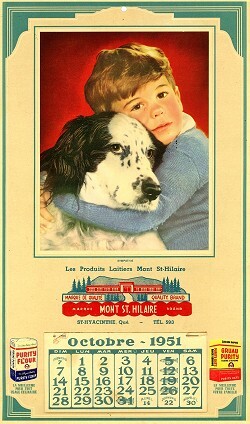 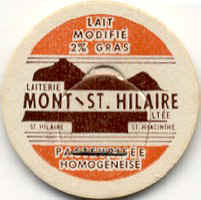 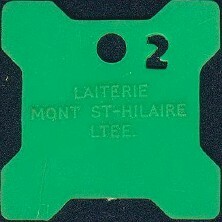 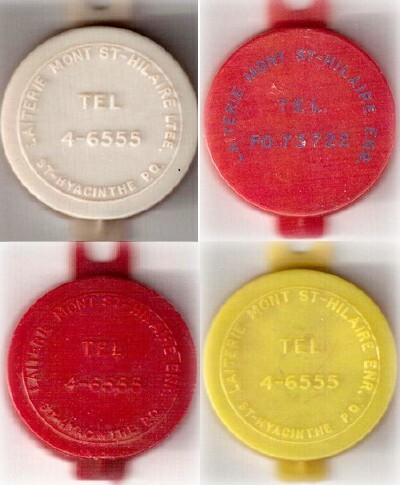 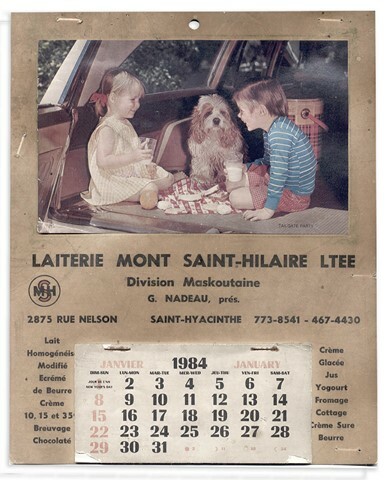 In November 1993, the dairy was sold to Beatrice (Parmalat) but they kept Mont-Saint-Hilaire Dairy's name. 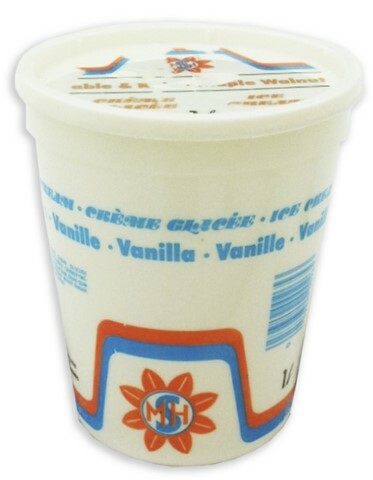 They still in business but today, containers changed a lot! 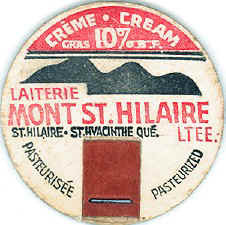 Since a few years, Mont-Saint-Hilaire Dairy's name is almost invisible on containers. 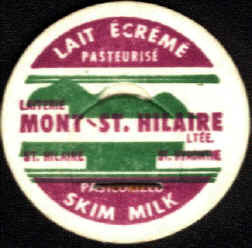 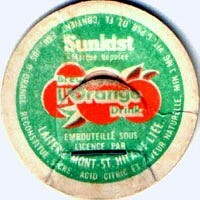 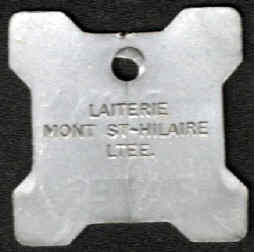 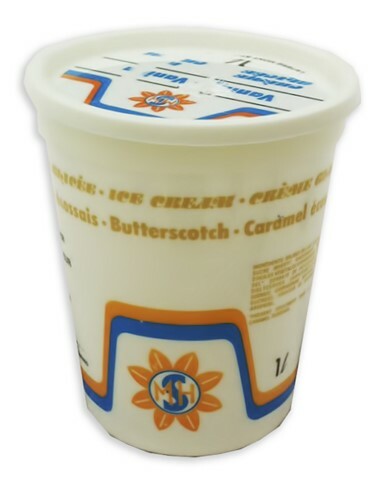 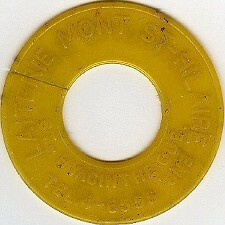 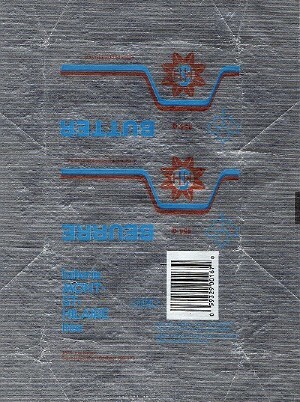 Parmalat only writes in small letters "Mont-Saint-Hilaire Dairy is Parmalat". 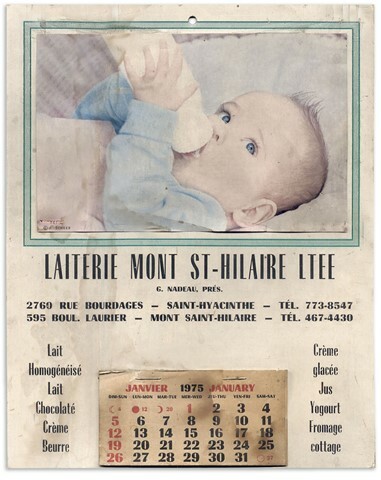 Source: Valérie Nadeau, Mr. Gonzague Nadeau's granddaughter. 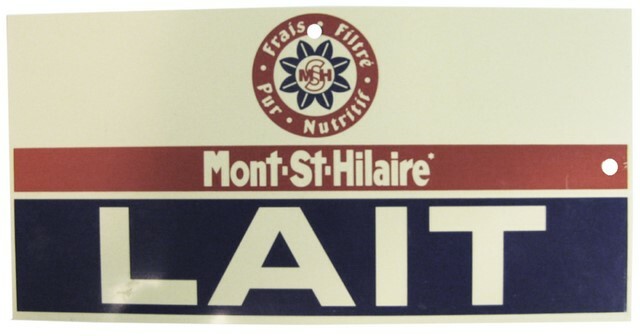 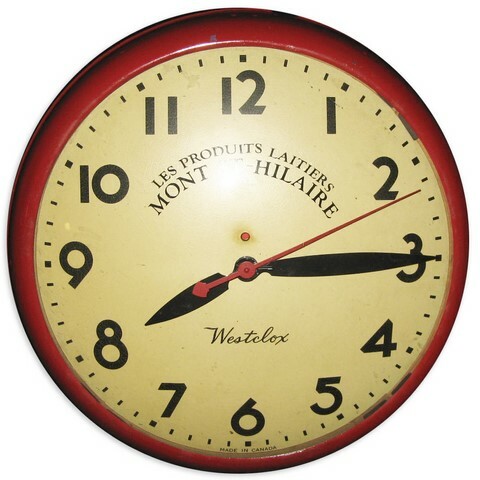 November 1993, "Beatrice Foods Inc." bought all Mont St-Hilaire Dairy shares.